When we were on vacation we needed something to do before we went to our airbnb apartment. Enter in Colborne Lodge in the southern end of High Park in London. Our guide was wonderfully informative and very personable. You’ll have to pardon me if the pictures are a bit dark, no flash was allowed. 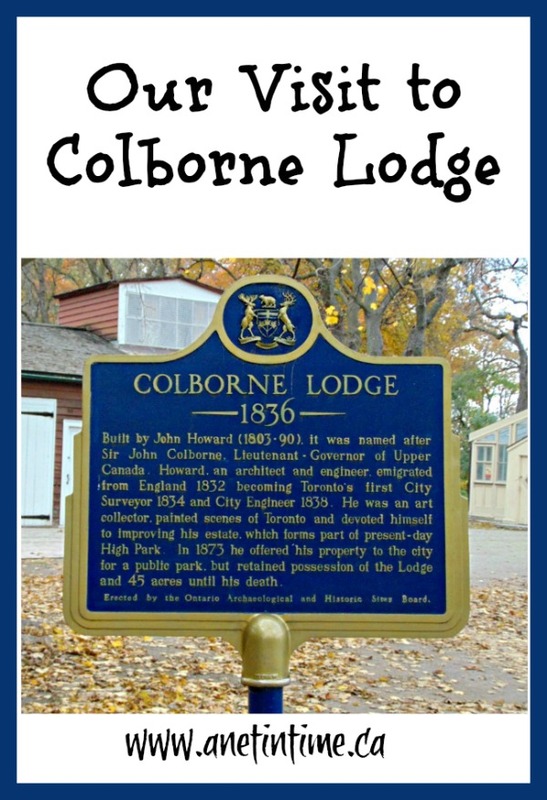 Colborne Lodge was the home to John and Gemima Howard. Mr. Howard was an architect and engineer originally from England. 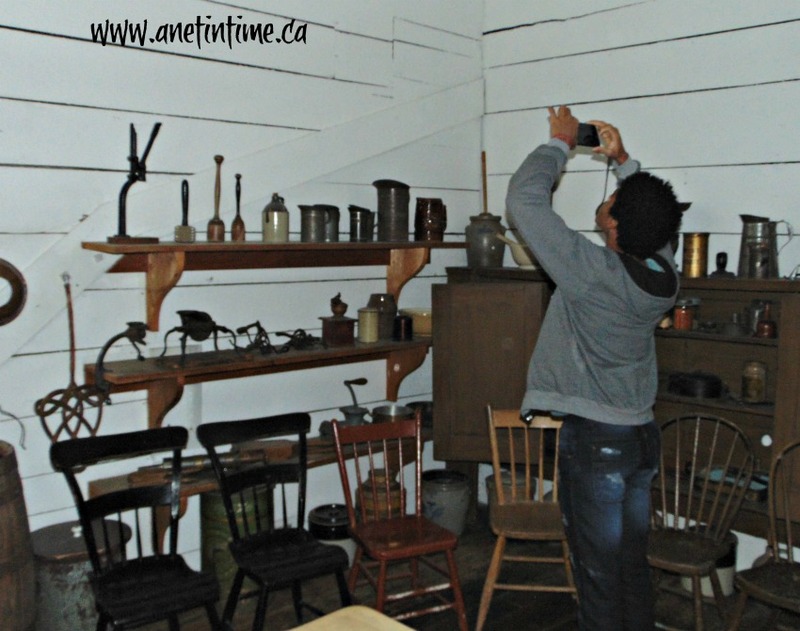 The house holds a number of pieces of art work that he did himself. A lot of the art work he did involved ships on the water, usually in trouble. 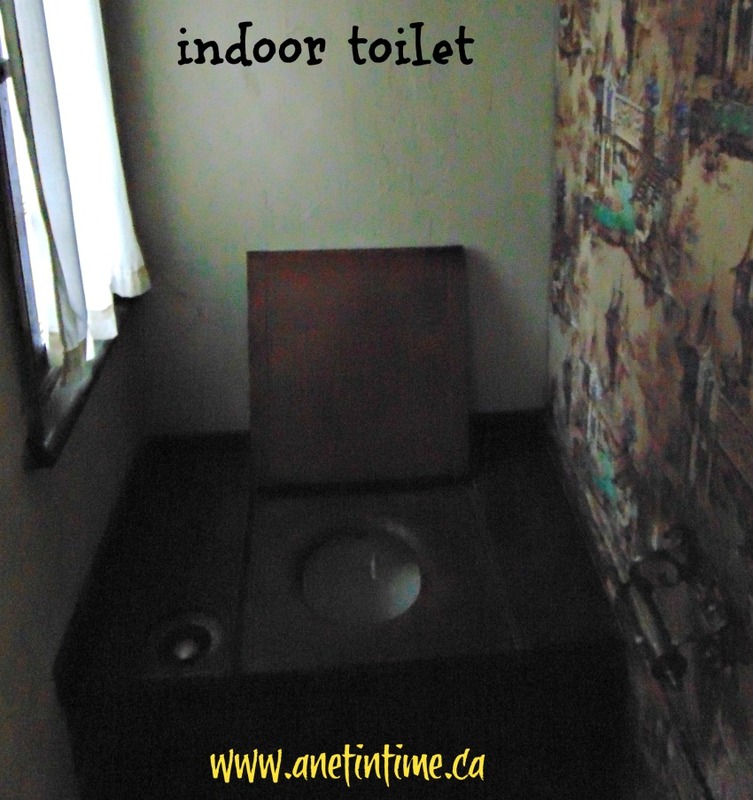 They had one of the first indoor toilets. There was a small replica of it so that we could see how it worked. This area of the house was built in such a way that when the door was closed it looked like a solid wall. If I recall correctly, it was because not everyone was accepting of indoor toilets. 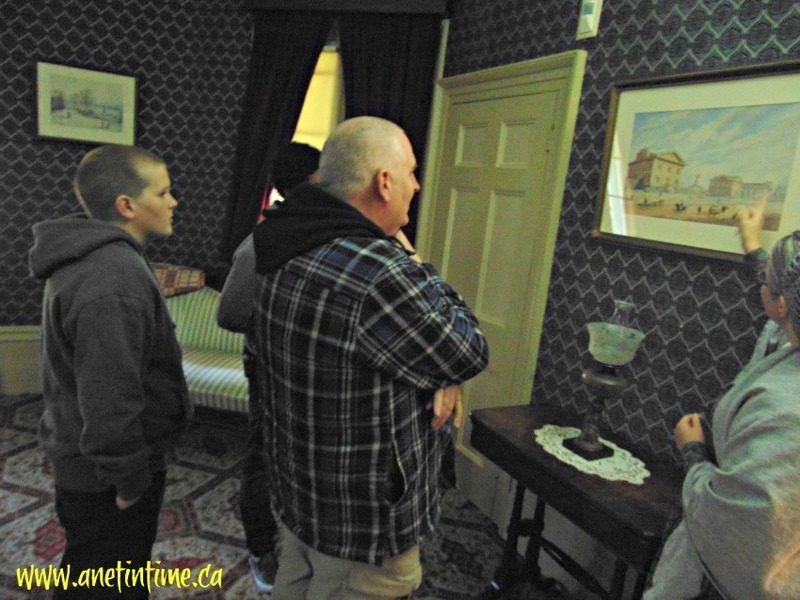 Our tour guide walked us through all the different areas of the house, telling us about each of the paintings. She gave plenty of time for questions to be asked and answered. The Howards lived a fair piece out of town. The house was comfortable for them. They had this rather neat picture frame sitting on the mantel. I can’t recall if this one is authentic to the house. They needed to do a fair amount of work on the house as it had merely been shut up when the Howards’ had passed on. Vandalism and theft had happened before the house was turned into a museum. 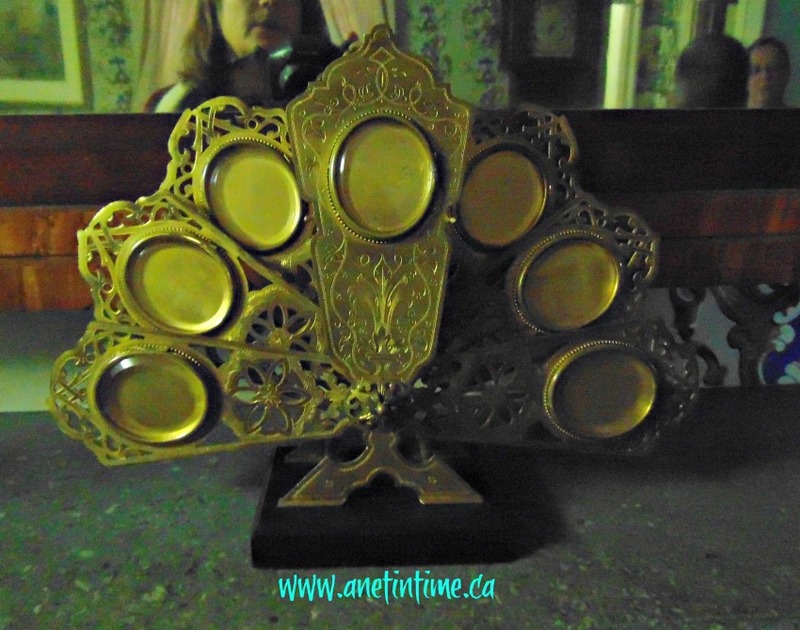 I loved the intricate detail on this picture frame and how it fanned out like a peacock. It would have been neat to see photos in it. 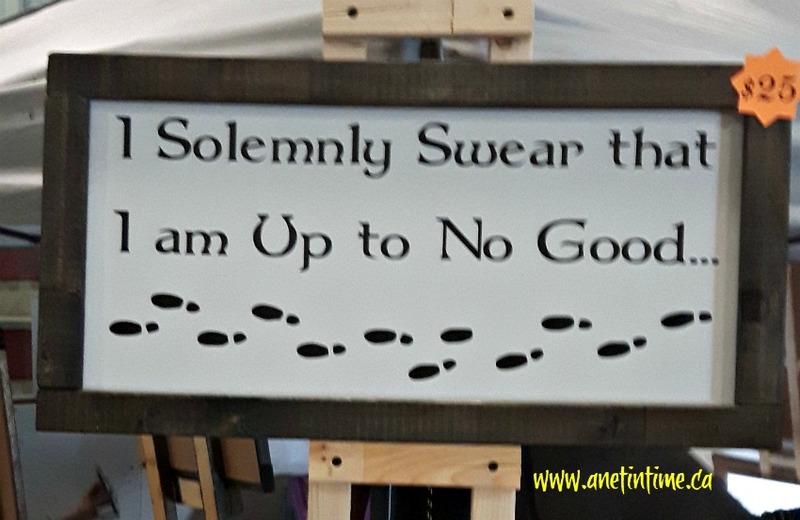 I would happily have this in my house. They had these tiny corner closets. 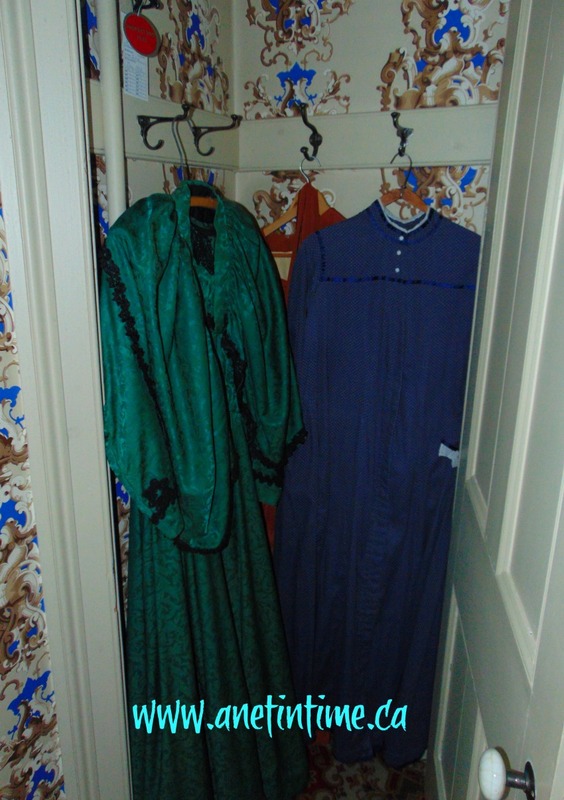 I have not seen closets like this before in these early homes. It’s hard to imagine only have three or four outfits to wear. 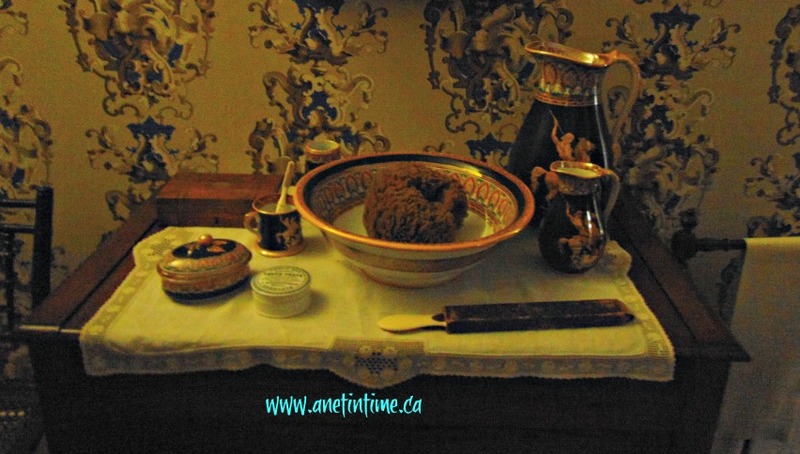 We were walked through the various bedrooms, seeing their vanities, dresser drawers and the like. 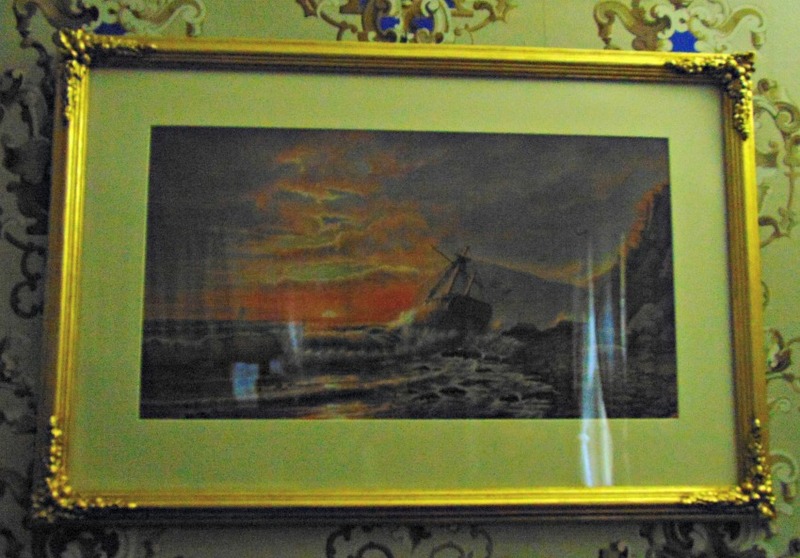 There were paintings throughout the house, most done by the Howards, and the odd one by friends. It’s hard sometimes to know what our student understands, so when he stops to take a picture I wonder what caught his attention. I never did figure this one out as when I asked he just flashed a grin at me. It’s a fair sized house with a basement, main floor and upper floor. 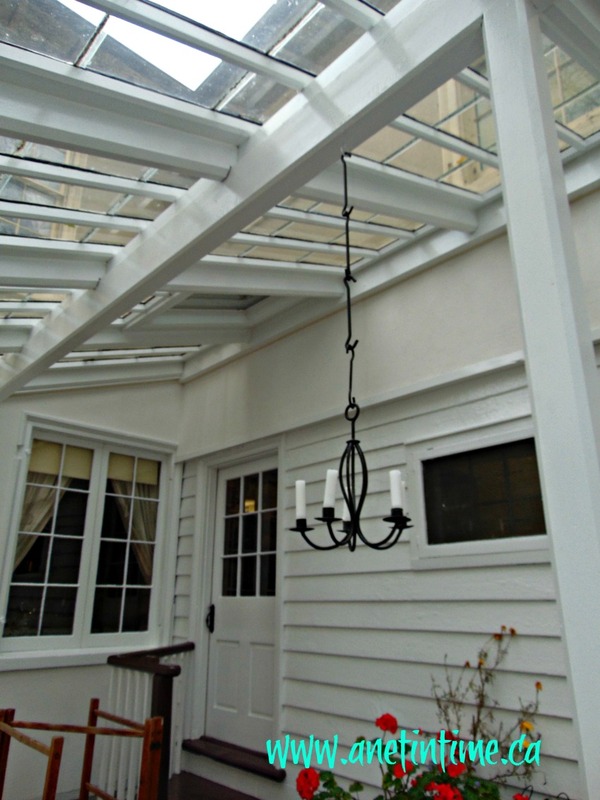 It has a greenhouse or summer patio attached as well. Oh, I almost forgot this part. They are buried on the property, but not really close to the house! We needed to cross the access road to get to it. All in all it was a lovely visit with a good tour guide. We learned so much! 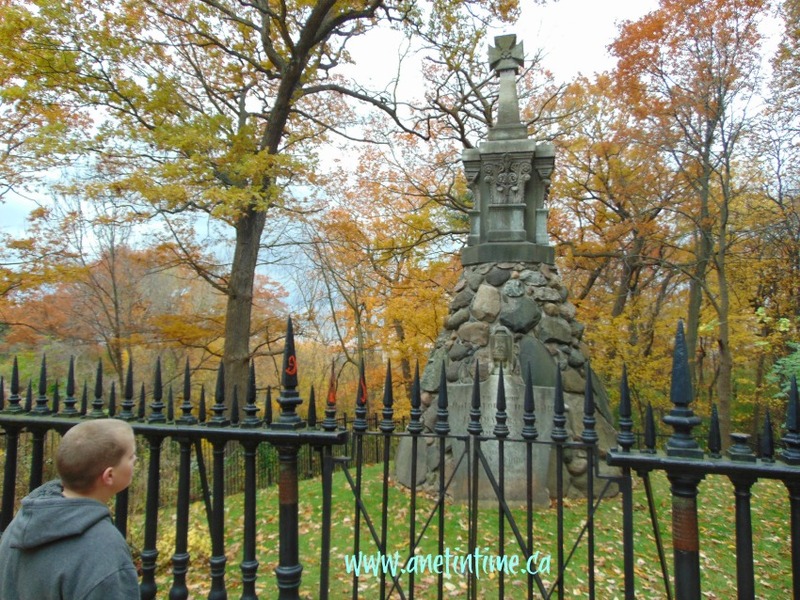 If you are the Toronto area, take in Colborne Lodge. 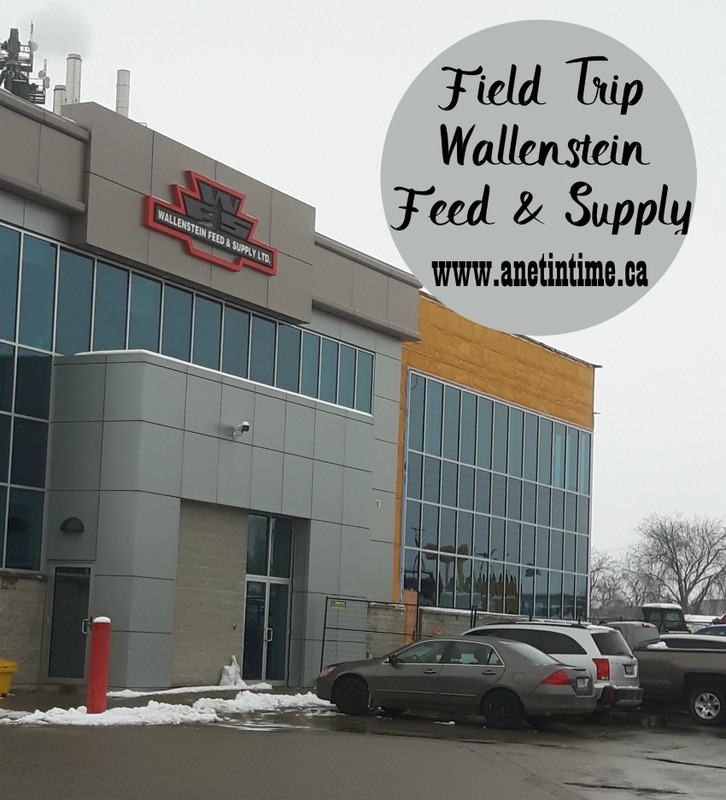 Last week Wednesday my son and I went to Wallenstein Feed & Supply. Since my hubby works at a feed mill he wanted us to go check out what they do here. He would have loved to go but couldn’t due to work issues. 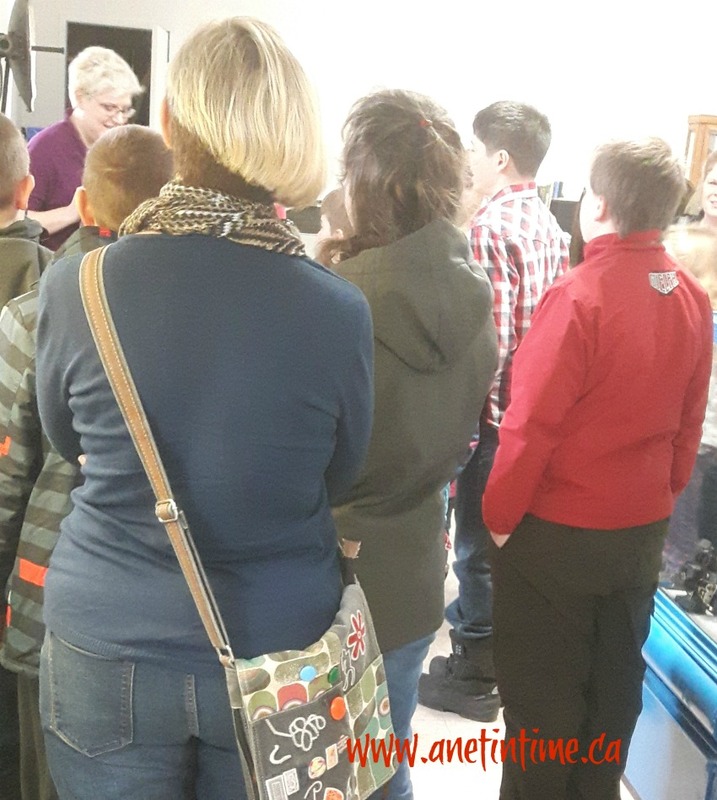 It was just a small group of us from the co-op that went, but we learned a lot about the making of farm animal feed in south-western Ontario. This mill is highly automated. 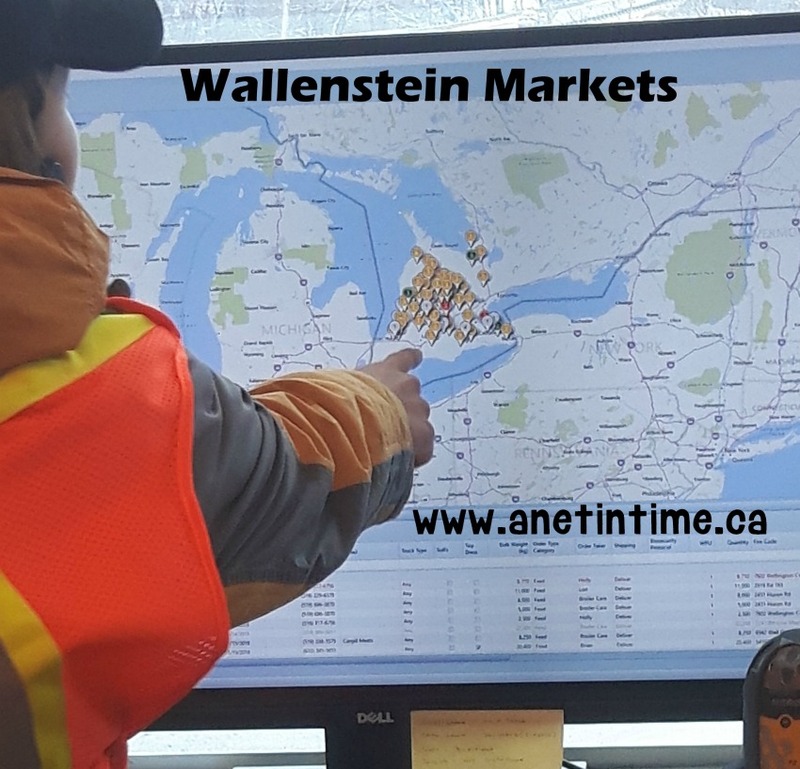 Runs at least 50 trucks from as close as Wallenstein to up north. Before we started the tour we all had to put on safety vests, a hard hat and a headphone. Some sections of the mill are quite loud, so having the headset means we can still hear each other. 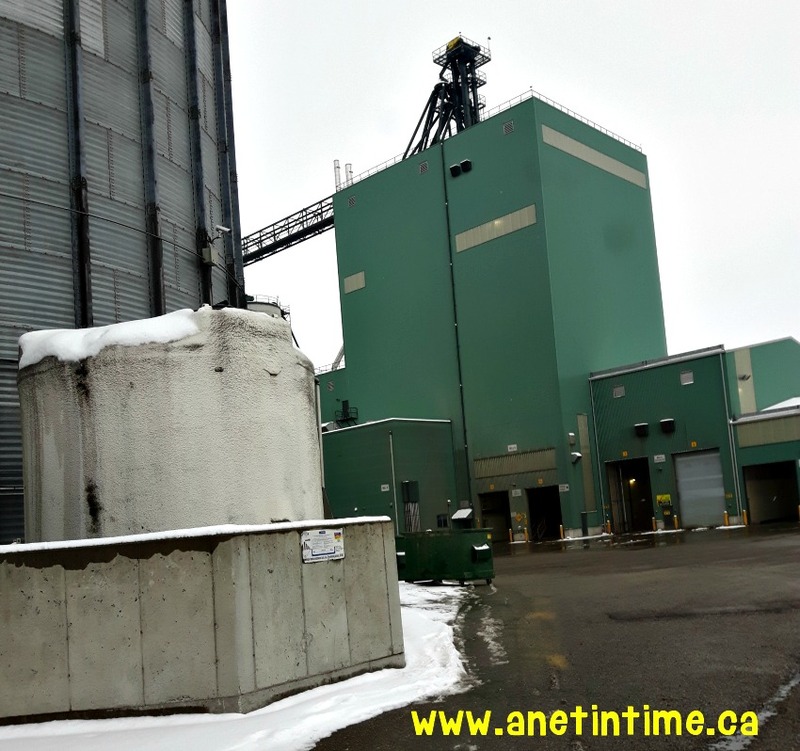 Wallenstein Feed & Supply has four mills in one area, well okay.. they might only have three active. I think they had torn down one mill and are looking at building the fourth. We were mostly shown around mill four. We learned they have a few different trucks. Some trucks come with panels that can be moved to accommodate different size orders, and other trucks come with prebuilt storage areas. When trucks come in with supplies the load needs to be tested before it is accepted. This year they need to be particularly careful because corn is carrying high levels of vomitoxin. 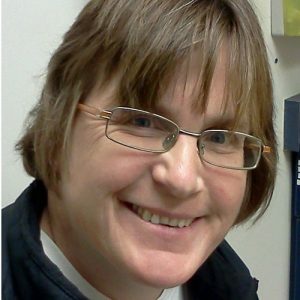 This toxin is dangerous to give to pigs (causes them to not eat and to have stillbirths or spontaneous abortions) so they need to be careful. 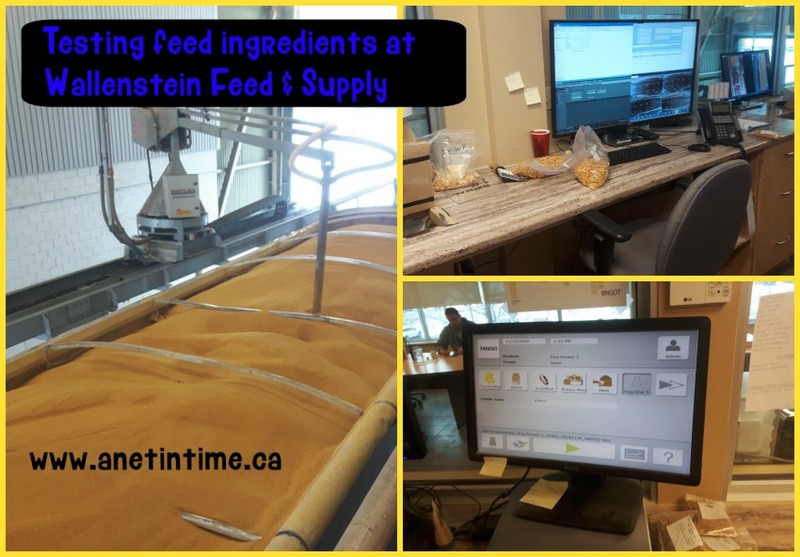 The mill my hubby works at can only take to 4% but Wallenstein Feed & Supply has three different levels for it. The higher levels require more work as they need to be diluted and used differently. Depending on the mill the men work 8 hour or 12 hour shifts. As I was watching the men work I saw clothing incentives, business perks etc pass along the screens. They all seemed like decent incentive programs and who doesn’t like $’s off places you would go away? A business treating it’s employees right. The opportunity was given to watch a skid of feed by bagged. Two people, and a few machines and the job was done quite quickly. Our last stop of the tour was to see how a trucker loaded his truck. He gets his part of the puzzle from the office that organizes the shipments. 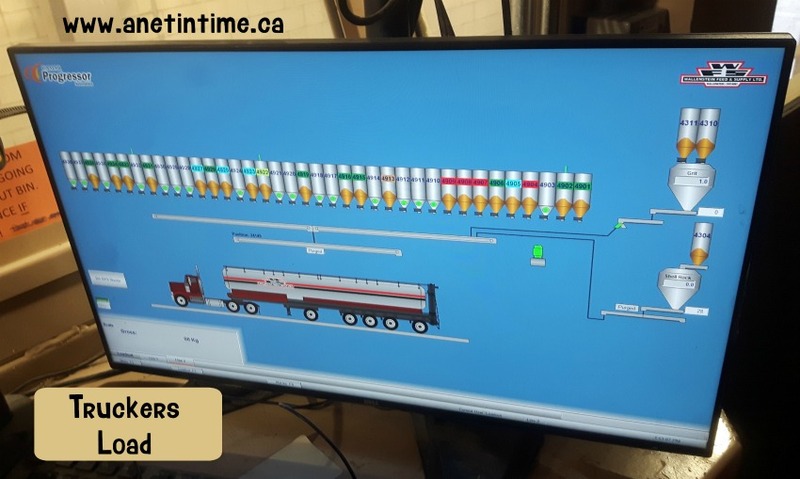 He needs to take a sample of every feed he puts on his truck and that sample is kept, I think she said for three years, so that if a farmer has a problem with the feed it can be tested by them or an off-site lab. It was a good, very educational and interesting tour. Friday we ended up getting sent home since we had a spell of high winds come through that threatened the lives of people. 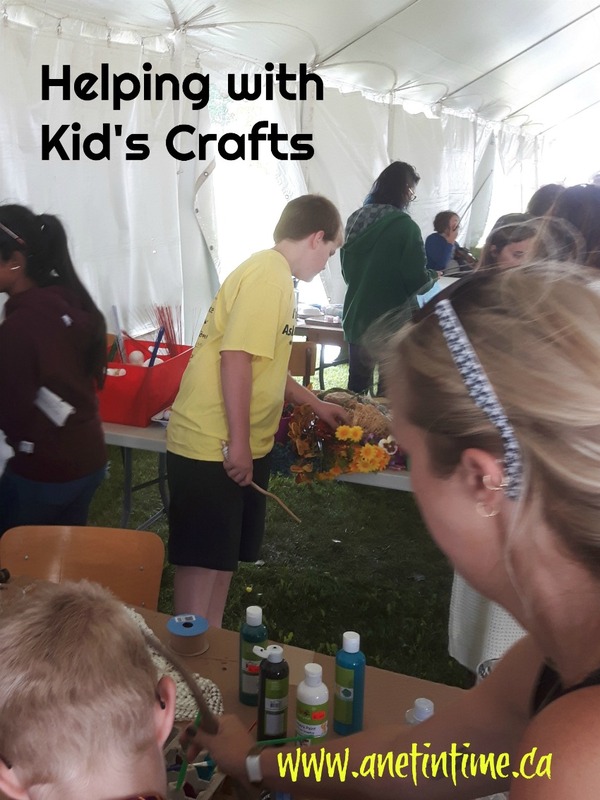 We helped a vendor put their stuff away after working in the children’s tent for about 30 minutes. 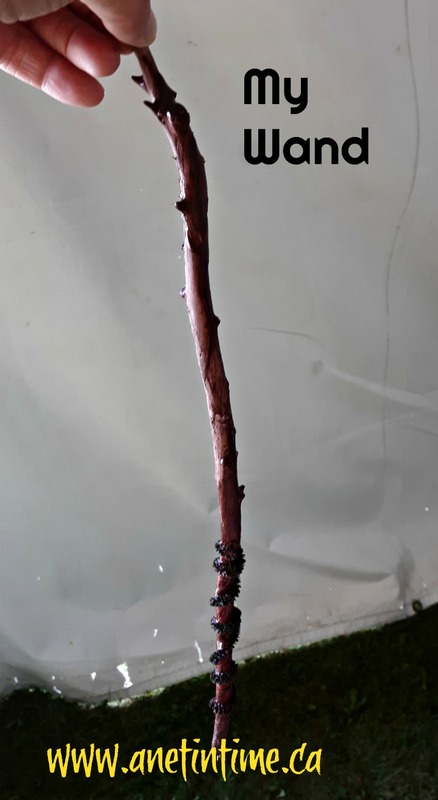 I had just enough time to mostly finish my wand. We were given the instruction of “inspire others” so making a wand and chatting as we did so seemed a great way to do that. My son liked this quote so I snapped a pic. On Saturday, our student and I went up. Originally I had planned to go with the lad and our student on the Saturday but they miss-booked us and the lad had a cadets thing come up and couldn’t go. So we worked with the miss-booking and went two days in a row. Anyways, we were assigned to helping mind the gate but they had lots of volunteers there, instead we went to the non-alcoholic bar and served drinks, cookies and candied. We were run off our feet but had a lot of fun! We worked hard for an hour and a half and then needed food, and since I was working twice with a student we got a free lunch voucher. 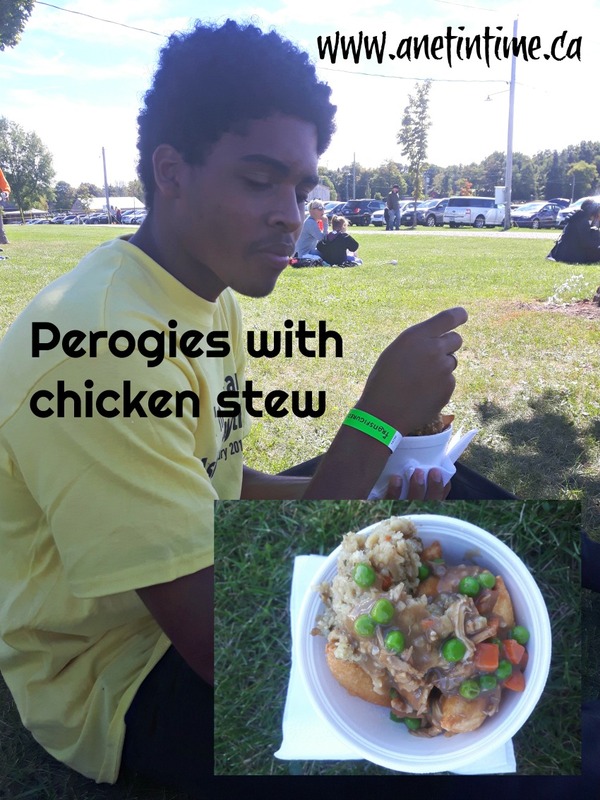 The lines were horrible for the standard fries, pizza, burger places so we took a chance on a small place doing a perogi with chicken stew dish. IT WAS FANTASTIC! I need to learn how to make this it was so very good. Back to work with a student who kept enjoying the caramel sauce. I gave him fitz but he just grinned at me. 🙂 The ladies working with me grinned at him and told said “teens!” 🙂 So it was all good. It was good to hear his attempted chatter and the ladies responding to him. It was such a nice day. The recipe we used for better beer “caramel sauce, cream soda, and real whipping cream”. It tasted good but was very sweet. 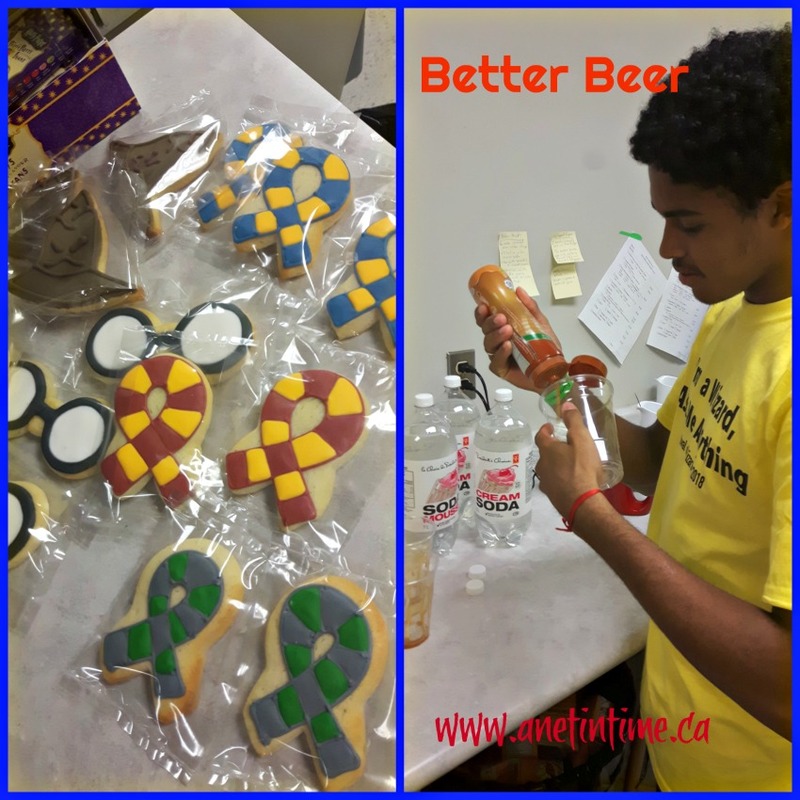 The cookies came in all house colours, glasses and sorting hat. The glasses were very popular with families with multiple kids because they could break them in half easily. YES, I bought some and brought them home for the guys. 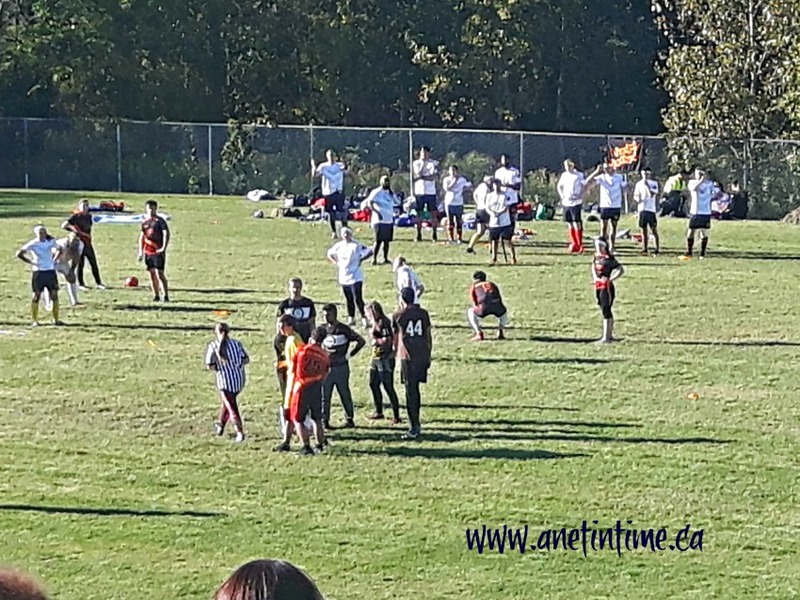 We heard some noise so headed over to see what was going on and discovered a game of quidditch was going on…. a match between Toronto and Guelph. It’s an immensely confusing game…..
Just so you know… we learned that bacon flavoured cotton candy tastes good but wrong. 🙂 The vendor said it was a good seller combined with her maple flavour. I told her I believed that but wasn’t brave enough to buy any. I did take a sample stick home to hubby who liked it. 🙂 (I told her I thought he would). That was our wizardry weekend. 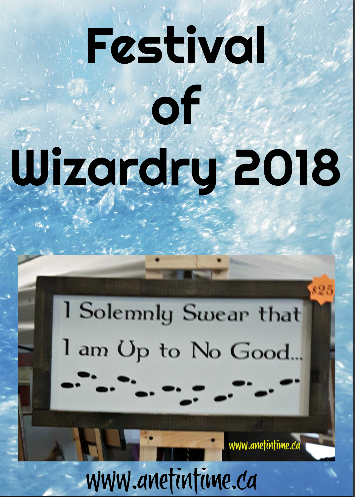 SHOULD you ever be up this way in September of 2019, come join us at the Festival of Wizardry. It’s a good time! 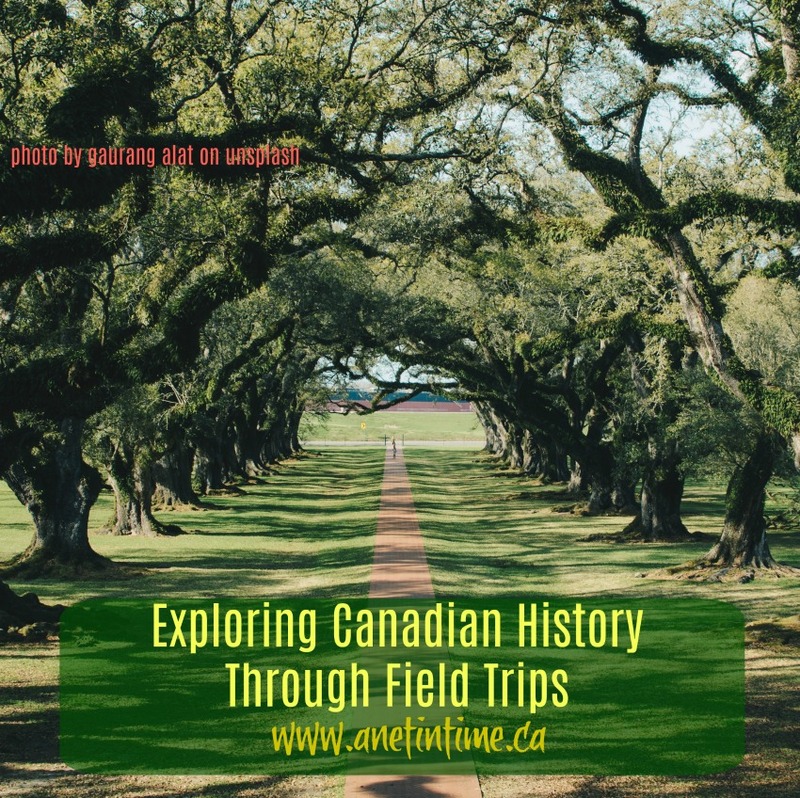 Welcome to day two of the Back to School Blog hop, today we’ll be talking about Exploring Canadian History Through Field Trips. You may remember yesterday that I gave encouragement to the parent concerned about readiness for the beginning of the new school year. 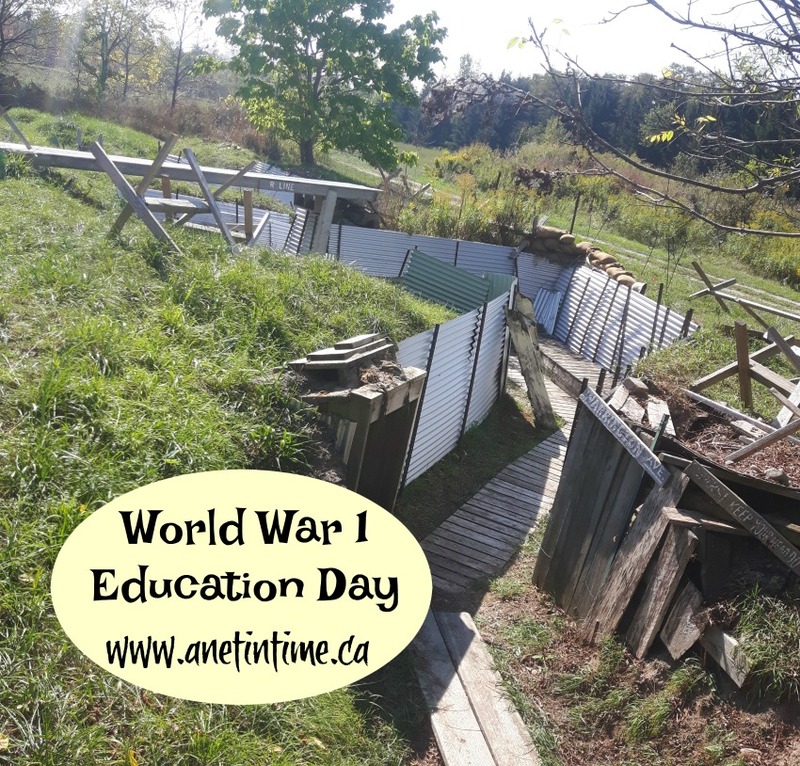 Since today’s topic is Take a Look Tuesday I thought it would be fun to look at Canadian History …both that which I’d like to see some day and those we’ve already accomplished. One of the places I would love to visit is Casa Loma in Toronto. I had hoped to go this year, but buying our house put a different spin on our finances. I did find this video that gives me a bit of a taste. 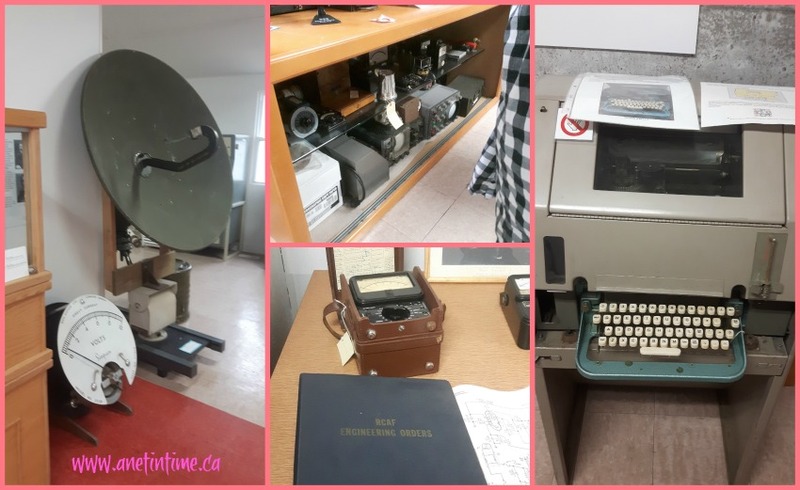 Earlier this year we visited the Radar Museum. This is a good look back at the use of radar on Canadian soil during the wars and beyond. Another place I’d like to visit is Fort Henry. 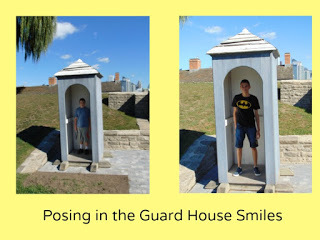 Up in Kingston, this Fort does reenactments and apparently has a overnight stay you can do as well. 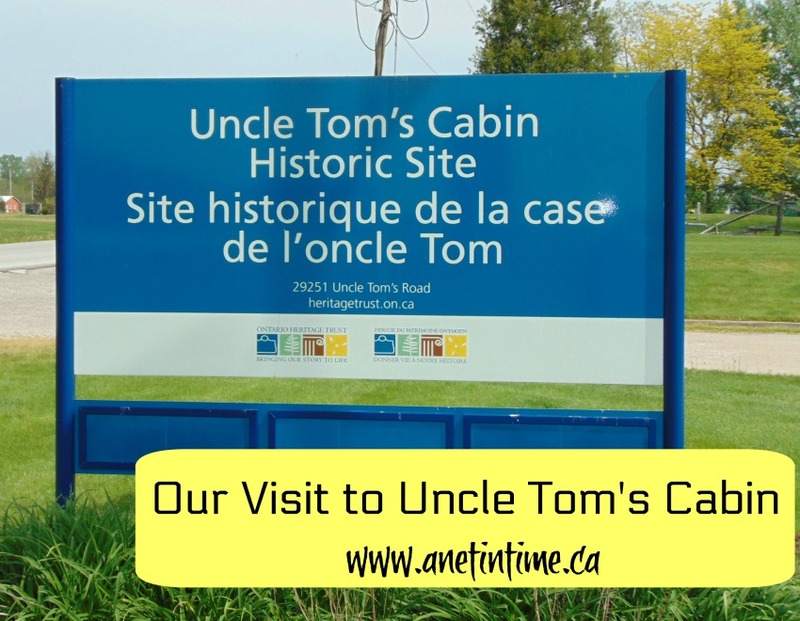 We took a trip this past year up to Uncle Tom’s Cabin. That was a great trip, learning about a part of history we don’t often hear much about. 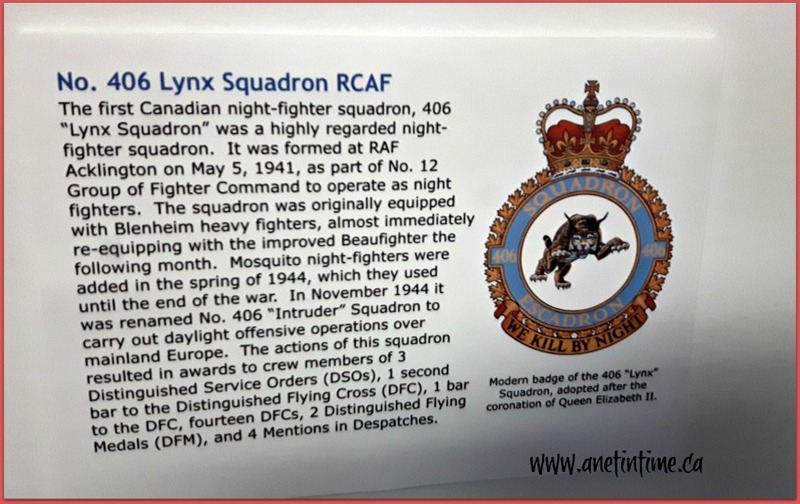 One of my goals that I am hoping to achieve at the end of September this year is to go to Ottawa to visit my brother and his wife, as well as to tour the Parliament building, the War Museum and other such places. I am really hoping we can make that happen! If my sweetheart can take a Friday off to go camping with the lad, and then take another four days mid-week to do the Ottawa tour… it would be good. 🙂 I do need to talk to him more about this and work things out with my sis-in-law (who has given us an open invitation). 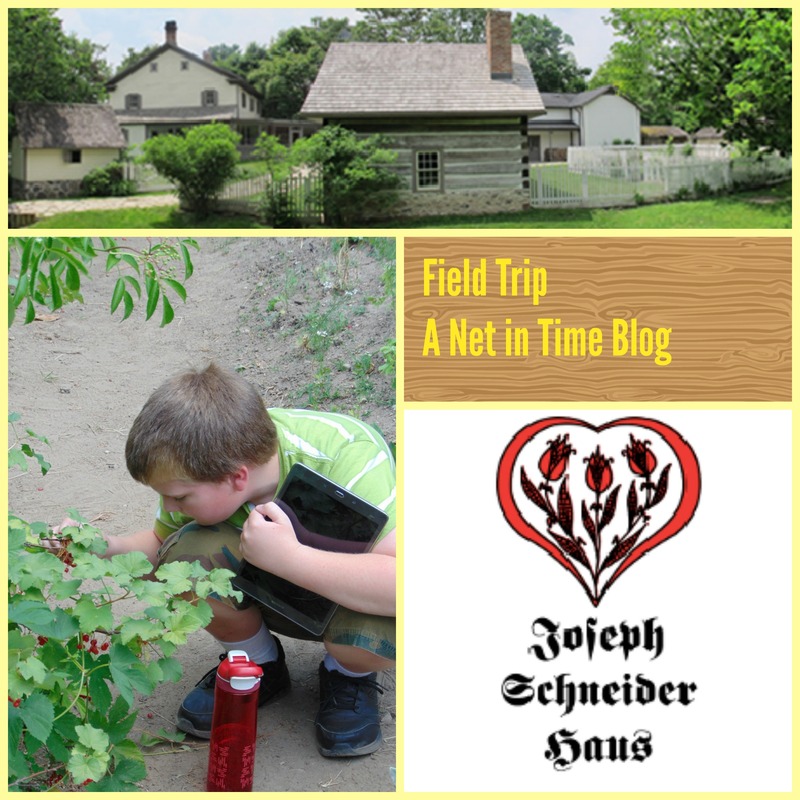 Visiting Joseph Schneider Haus is always a place I like to visit, bringing the lad here when the currants were ready was just plain fun. 🙂 We learned much and enjoyed a good snack as well. Anyways, that’s enough for today. I hope you enjoyed this brief stop in’s at places we’ve been and places we’d like to go. Wouldn’t you like to come join us? 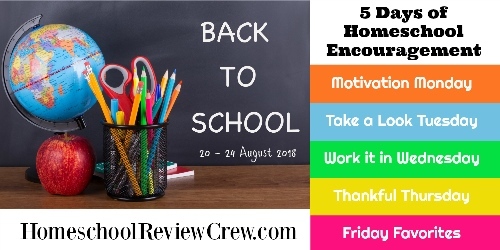 This post is part of the Back to School blog hop from the Homeschool Review Crew. Please visit others of the crew won’t you? Do you love Orca’s? Have you ever heard of an orca called Granny? Granny was known world wide by the lovers of Orcas, particularly those who would go watch the whales out in British Columbia. 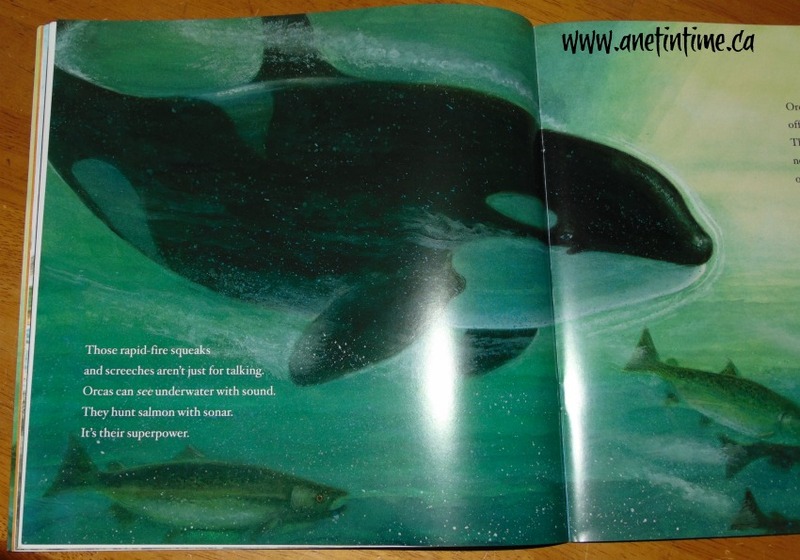 It is my delight to introduce you Wild Orca, a lovely picture book I reviewed on J-pod the Orca pod from British Columbia. 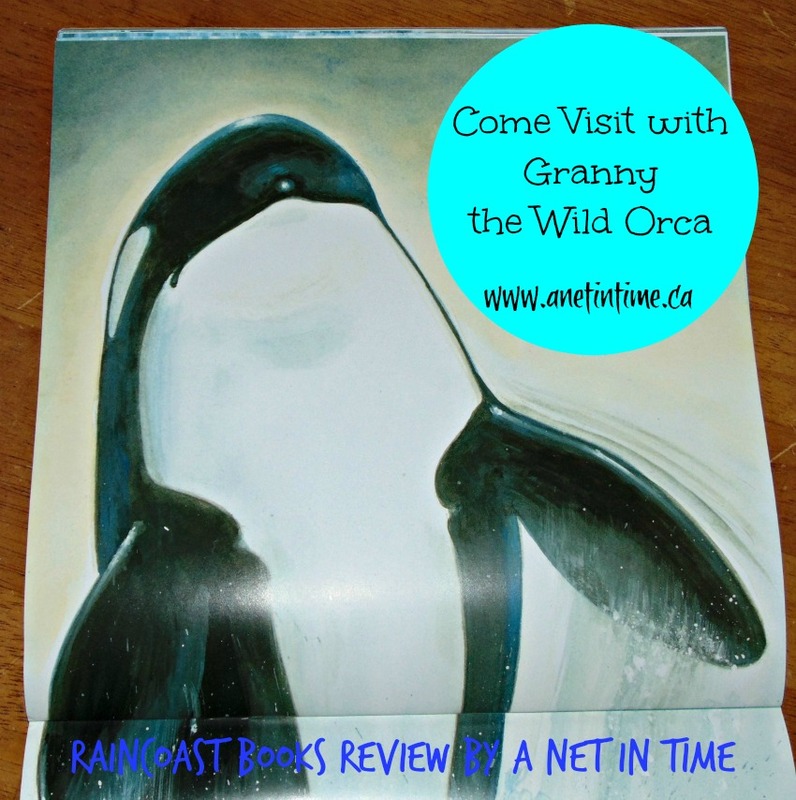 This book focuses on Granny, the oldest Orca that was known to people. 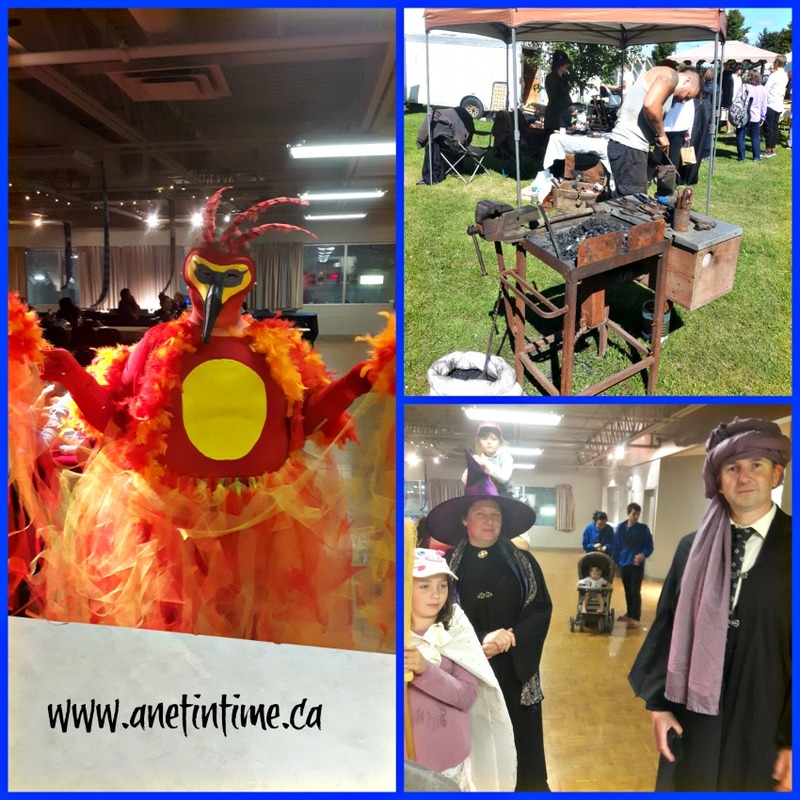 Brenda Peterson does a great job of bringing her and her family to life. This book was provided by Raincoast Books (a great company to work for). Granny was the matriarch of three pods being studied, pods J, K, and L. They all contained members of her extended family, and every year a little girl called Mia would watch for her to return. 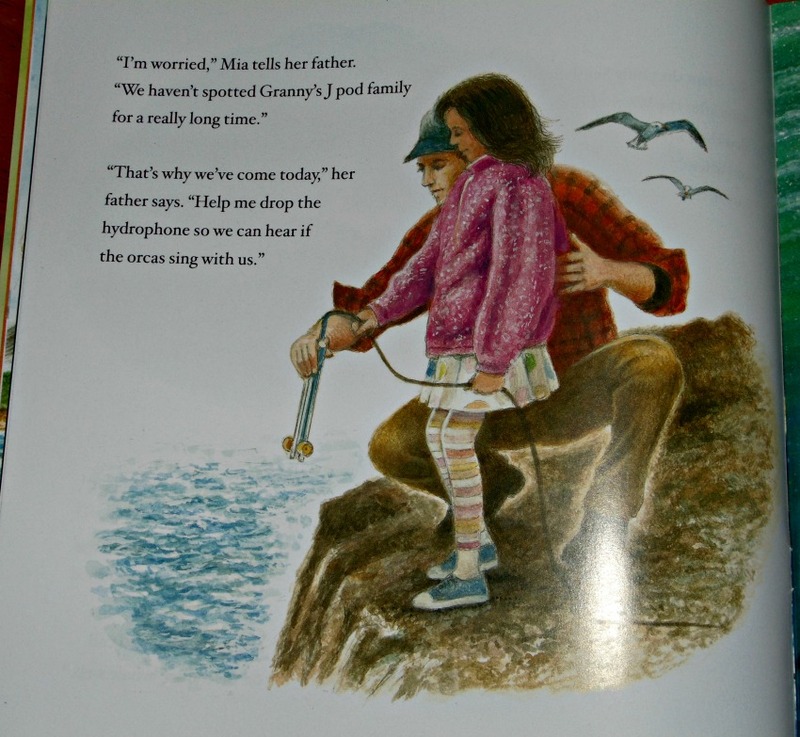 Mia’s dad was part of the whale research team, so Mia had learned to watch for the whales to return. Wendell Minor contributed excellent paintings to the text of this lovely, meaty picture book. It’s a great book filled with a lot of information about whales and about the times that Granny would have lived through. Did you know that Orcas out in British Columbia predominately eat salmon and that they are endangered? Too many of them are being lost. Orcas should live to be about 80 years old and too many of them are not making it that long. Too many of the babies aren’t making it past their first year. Pollution, sonar tests, over fishing and dams causing problems for the salmon being the main culprits. Oh this book, filled me with such knowledge, but the end of it I was smiling for the joy that is an Orca. 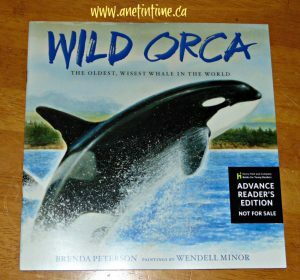 🙂 It’s a lovely book, It would be either a great introduction to the study of Wild Orcas, point to a tourism industry in British Columbia, or be a fine part of an endangered animal study. OR you could pick it up just to read about a great animal from Canada. 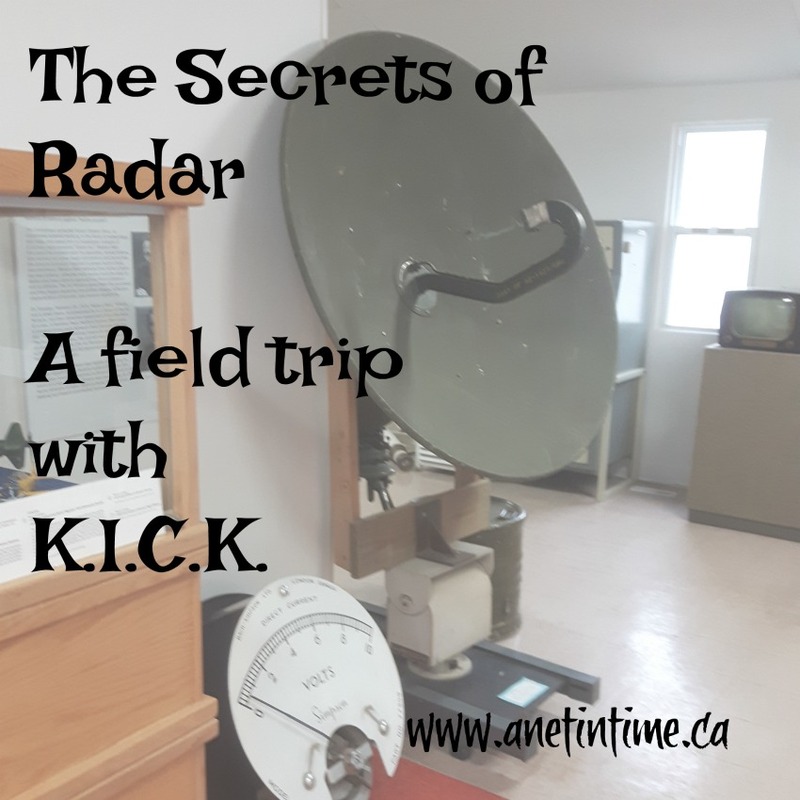 In the spring the lad and I had the delight (along with Dad) of going to the Secrets of Radar Museum. We arrived a touch late due the museum moving but it ended up working out okay. I am not going to put all the pictures in this post of what we saw there, as there were a good variety of exhibits and points of interest. I’ll just point out some highlights. 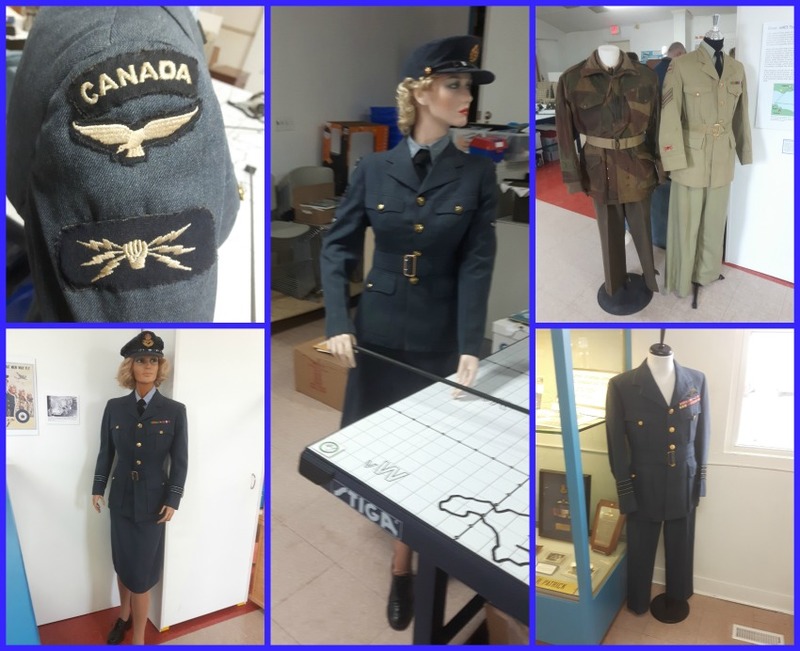 The tour guide took the time to point out the number of different uniforms for the radar division and those attached to it. The hand with with the charges was a specific badge of the corps. She explained the whole making of it but I’m afraid I’ve forgotten in the meantime. 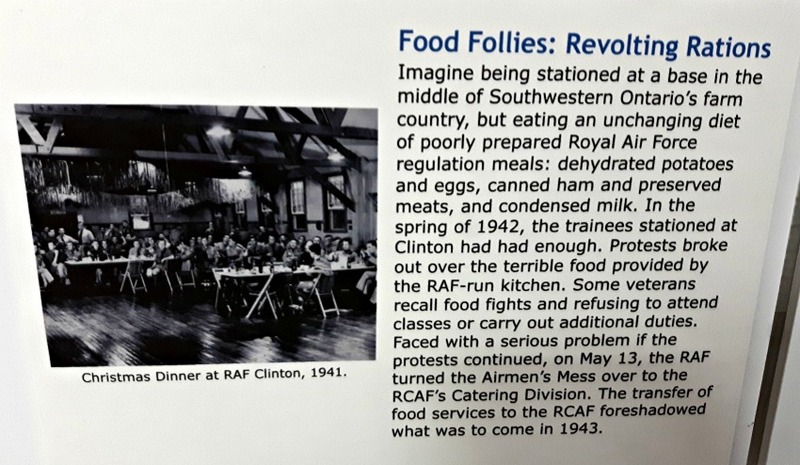 I do recall her explaining how when the radar division was shut down a lot of the records were destroyed, particularly that of the women that were part of the unit. This makes it very hard for them to get an accurate history of the numbers involved and what positions they all held. While the tour guide was showing the children around I took the time to read the various plaques they had up explaining different points. 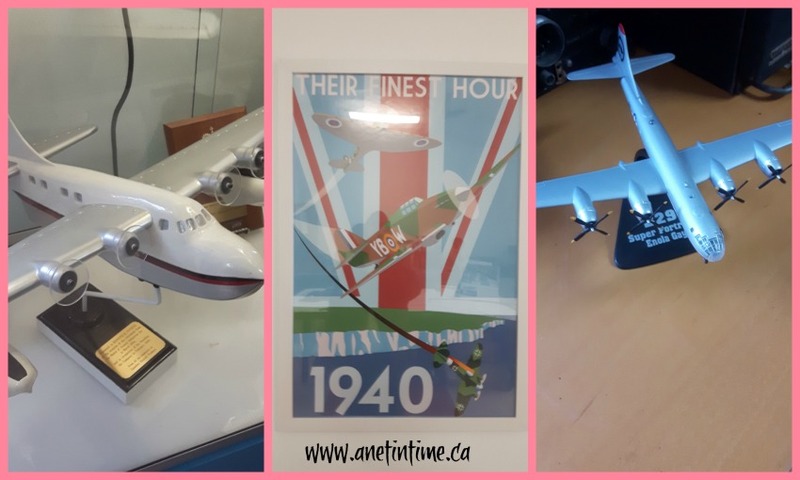 There was so much there of interest to me, from learning the role of women, to learning about the planes they used, to seeing the equipment that was put into use. One of the things my son liked was learning about the equipment they used and learning how the radar messages worked. The word RADAR is an acronym for RAdio Detection And Ranging, and in its simplest form it consists of a transmitted radio signal aimed by an antenna in a particular direction, and a receiver that detects the echoes off any objects in the path of the signal. He was unimpressed by some of the misleading information given, when they talked about only the women files being destroyed when in actuality all the reserves and temporary staff information was also destroyed. The final part of our tour had the students divide up into two groups. One to have a paper airplane contest and the other to learn about the Shortwave and Radar in Canada today. 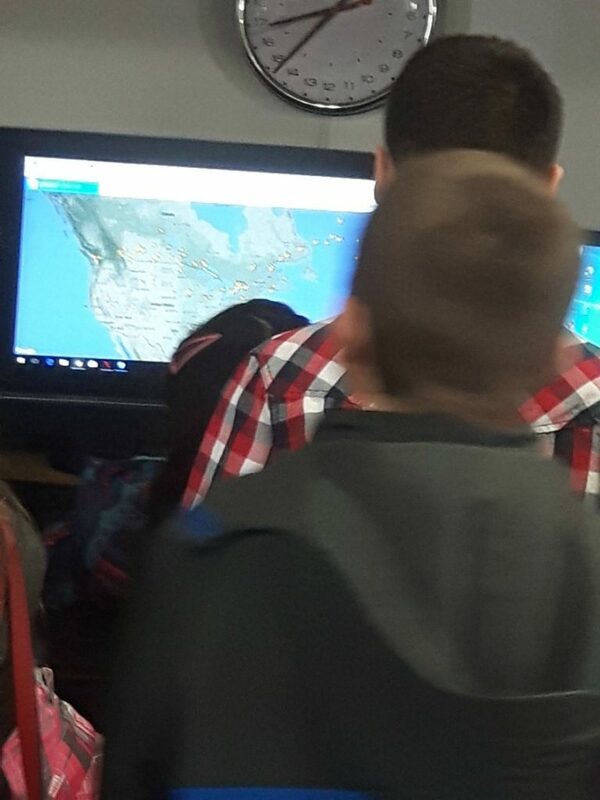 The students were able to view the various aircraft flying into London and the importance of using shortwave, being introduced to some of the rules surrounding it’s use and more. The students seemed most intrigued by the number of flights they could see. It was a good visit to this small museum, we learned a lot. I would recommend you take your children or homeschool group there as well. Learn our history eh? Learning to march was part of the fun that my lad enjoyed. He found it interesting to keep pace with another student, and to follow along well. They also learned the value in presenting a solid line of force against the opposing enemy. 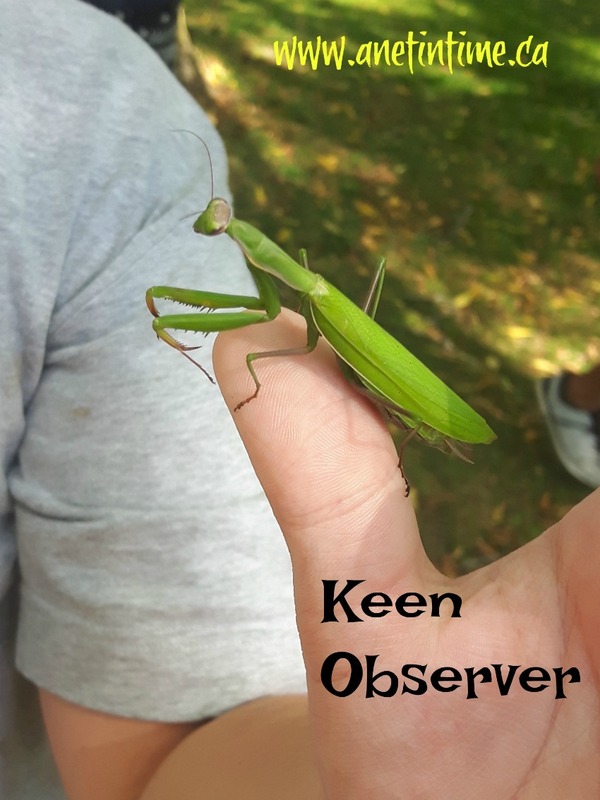 Being the keen eyed observer that my lad is, he discovered another keen eyed observer. After this we proceeded through a few more stations. We had a great day out together. I’m so glad we had a chance to do this day together.